Capstar, comparable to Comfortis, is an oral medication that will work to completely get rid of fleas on your pet within a matter of hours. 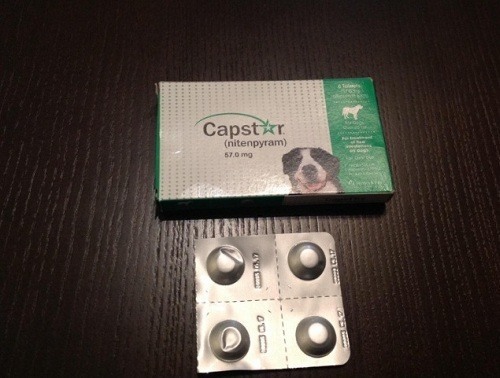 By giving your dog a Capstar tablet, the fleas will begin dying within 4-6 hours. Capstar works by killing the adult fleas from the inside out. 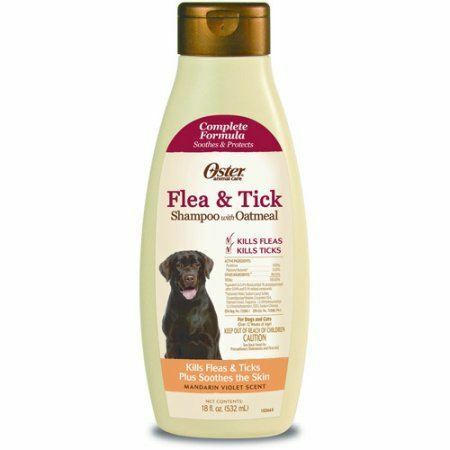 After a flea bites your dog, they will ingest the medication, which stops the flea lifecycle at the highest part of their structure -- reproducing adults. Works on Both Dogs, and Cats: If you have cats in the home with your German Shepherd, it’s good to know that you can give the tablets to both your dog, and your cats. This will keep the cats from staying infested while you’re working at getting rid of the pests on your dog. 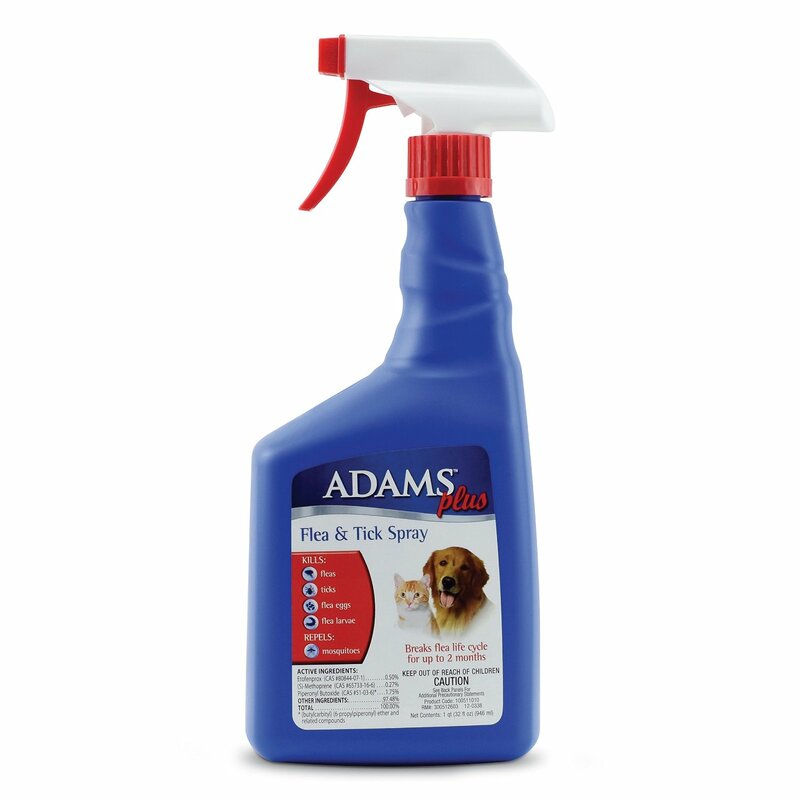 Kills Fleas Within 6 Hours: Most adult fleas are going to be dead within 6 hours of giving your pet the medication. It works quickly, and effectively at getting rid of the toughest part of the infestation. Works on Stubborn, Adult Fleas: Adult fleas survived because they’ve grown immune to different types of treatments. That’s how the infestation grows, and continues to repeat itself. However, Capstar works differently, and causes adult fleas to ingest the formula, working on getting rid of them from the inside out. Instantly Controls the Infestation: While other medications require time to take effect, giving the adult fleas time to reproduce, Capstar begins killing the fleas almost instantly. This means, if you’re dealing with an infestation, that you can combine a flea bath, and topical solution as a blanket barrier to see results on the same day. 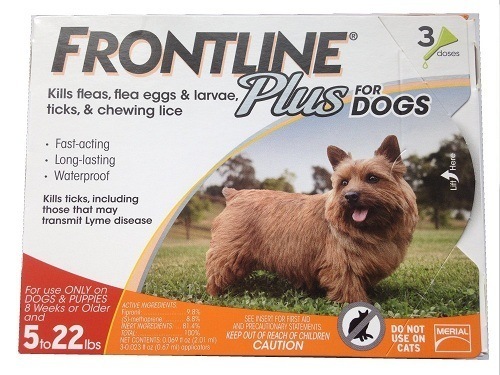 Does not provide long term protection against fleas: Since the medication works almost instantly, it also means that it does not continue working over the long term. You need to use Capstar in additional to a long term flea control solution, such as Frontline, to continue preventing the infestation from coming back -- or growing. Must be given orally: If your pet is fickle about taking medications, you may have to get clever about how you’re giving them Capstar. Most times, when you bury the medication inside of peanut butter, your pet will not be able to separate the tablet and spit it out. Some pet breeds may have sensitivity to moxidectin: While German Shepherds aren’t among the known breeds to have a sensitivity, you do want to pay attention to how your dog is acting after you give them the medication. Some breeds have been reported to have a stomach sensitivity to Capstar. Capstar is a great way to attack the fleas from the inside out. 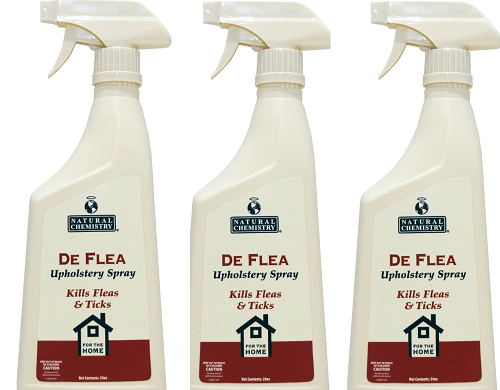 When combined with a flea dip, and a topical solution such as Frontline, it’s practically impossible for fleas to survive, let alone thrive and continue growing. Pay attention to how your dog reacts after taking the initial dose. Even though German Shepherds aren’t in the list of breeds that have shown sensitivity to the product, be aware that an adverse reaction, such as vomiting, is always a possibility. 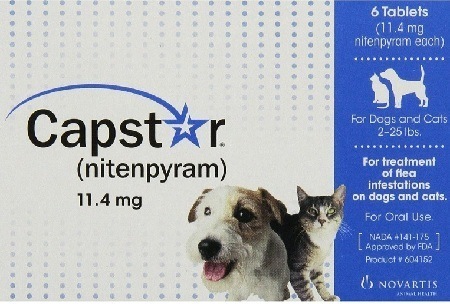 Novartis’ Capstar flea tablets are a great method for controlling the fleas that are thriving in your pet’s coat. If you need to take control over the infestation in just a few hours, order Capstar now and get rid of fleas as soon as possible.